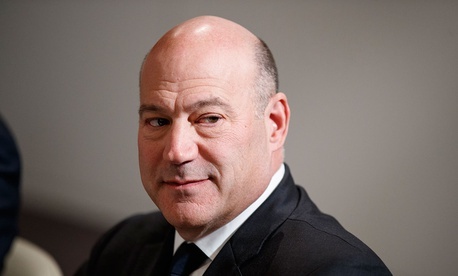 Gary Cohn, then president of Goldman Sachs, made a real impression on Donald Trump in a Trump Tower meeting on Nov. 30 2016. Dazzled, Trump offered Cohn five totally different jobs that day, according to legendary journalist Bob Woodward’s new book Fear: Trump in the White House. Cohn is a registered Democrat and donated to Trump’s 2016 rival, Hillary Clinton. Nevertheless, he reportedly impressed the president-elect with policy proposals like issuing 50 and 100-year Treasury bonds and cutting the corporate tax rate. After the investment banker warned Trump about automation in the workforce, the president-elect began a rapid-fire series of job offers. “I don’t want to be deputy secretary of anything,” Cohn said, according to Woodward. Cohn “was not sure what the job did,” and declined, Woodward writes. A job running U.S. intelligence agencies wasn’t well-suited to a career banker. Trump’s rationale for offering the job was that Cohn trades commodities; Cohn wasn’t interested. “Cohn knew it was a horrible job,” Woodward writes. He said no. As Mnuchin remained silent, Trump reportedly told Cohn to “come back and tell me what you want.” Five minutes later, Cohn was still in the building when he saw on television the news that Mnuchin would be treasury secretary, Woodward writes.